I am a Southern documentary film maker and photographer, a certificate program graduate of Duke University’s Center for DocumentaryStudies, and resident of North Carolina. My heart is committed to that individual who deserves celebration for their contribution of unique personal talents and assets during their lifetime. I build community with my still photography and motion documentaries by showing how we are connected by remembrance and sharing. My documentation style is built around single poignant images threaded together by sound, narrative voice, and film. Each photograph is created to stand on it’s on to tell a story. 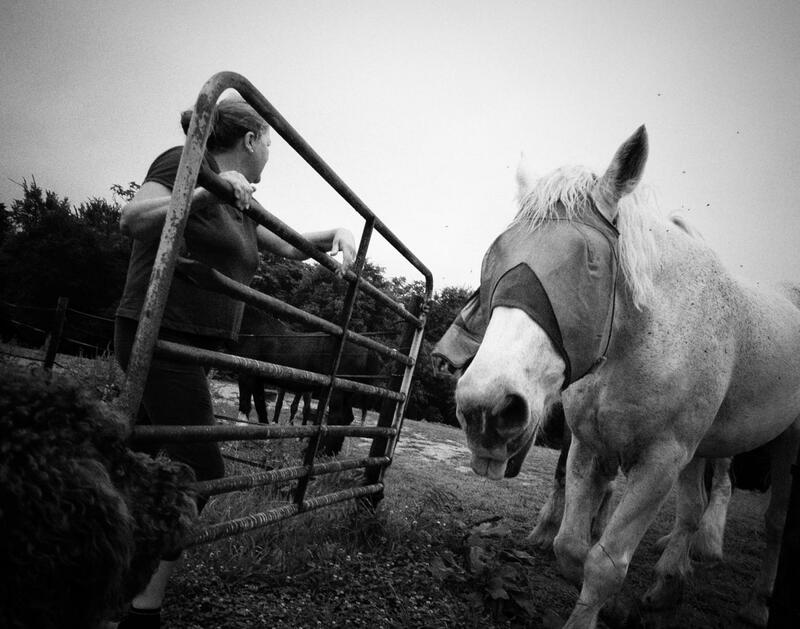 "The Medivac Rig" - A mom's death and inheritance gave a chance for her daughter, Pat Land, to live a lifetime dream -- to establish an old folks home for horses. 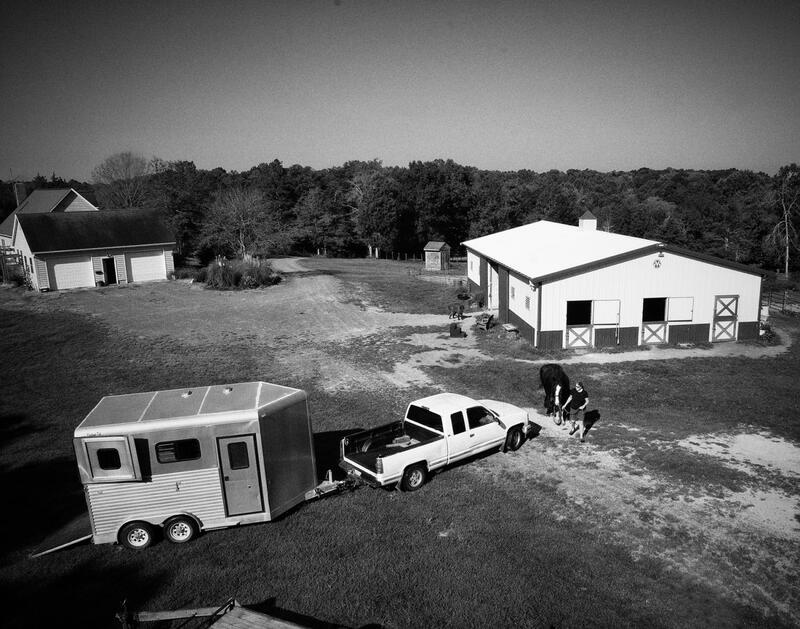 Pat’s old truck and trailer were a common site in and around Davie County, NC as she hauled any number of ailing horse to and from the vet clinic. In 1998, Pat Land left a career in dance and theater to pursue her life-time dream. Her dream became a reality when Pat lost her mom and her inheritance allowed her to purchase a farm of her own, shifting her aims from the glamour of the stage to the grit of the field. Renamed in honor of her mother, Annie’s Farm, became an "old folks home for horses." 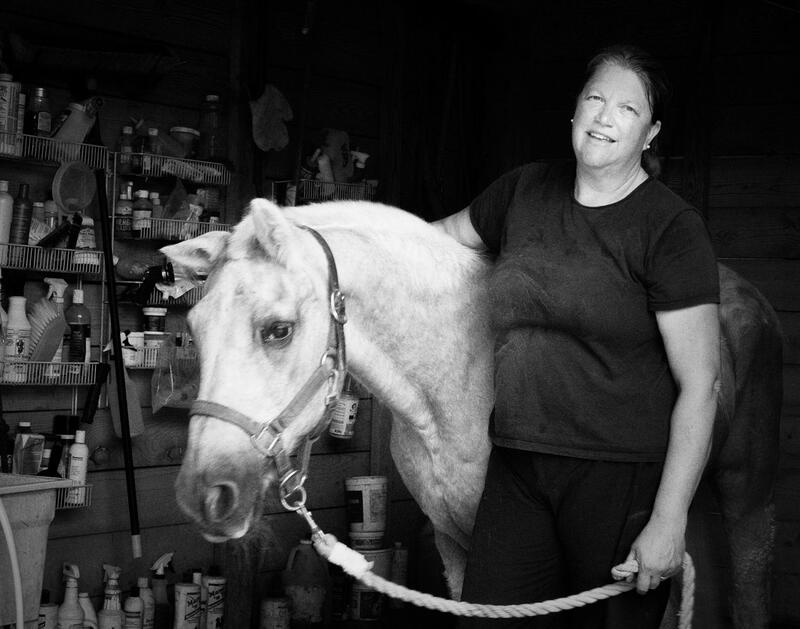 Pat maintained her farm for 15 years until one snowy wintry day in Piedmont, N.C., when she complained to her husband of abdominal pain and physical weakness. She was diagnosed with an abdominal aorta aneurysm rupture at the age of 59. Subsequent surgeries were never completely successful in controlling her hemorrhage status and she died of complications weeks later. During the course of recovery and even though she did not regain her physical health, Pat did have a period of time when her compassionate and humorous self recovered to be enjoyed and appreciated once again by her close friends. 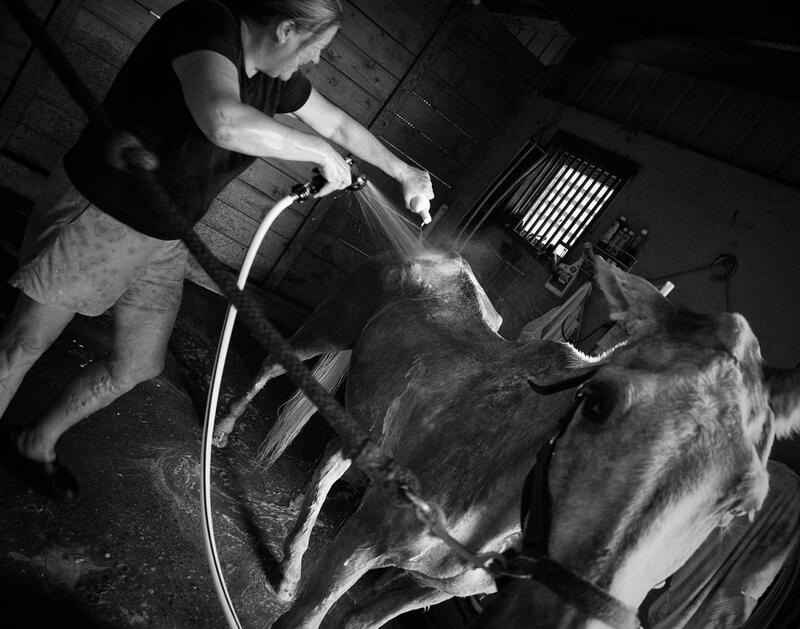 "Wash Pit" - Twenty to thirty horses are resident at any given time. Malnourishment and skin lesions are the most common ailment of new arrivals. Many days started (early) and ended (late) right in this spot. 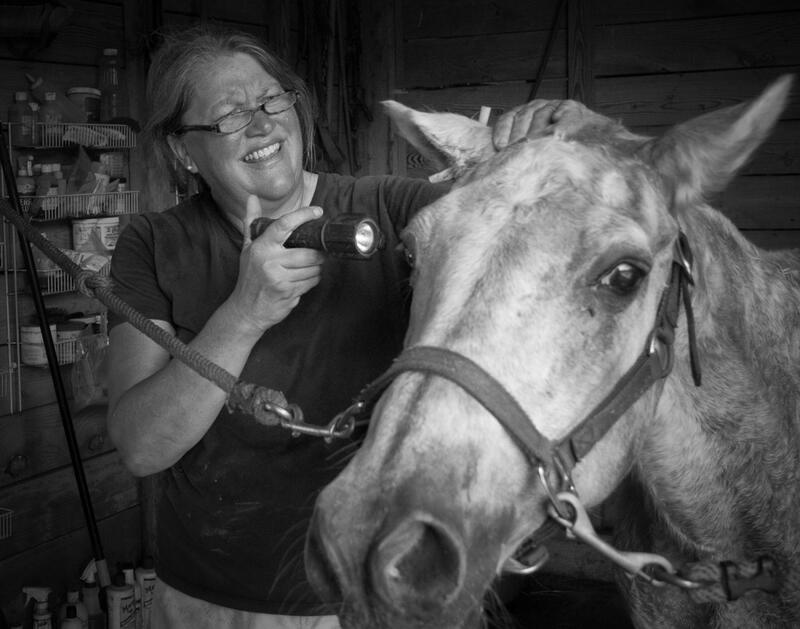 "Spa Day" - Pat takes a horse through a series of treatments for skin problems and hoof repair; she often likened these days to a spa treatment for the horse. 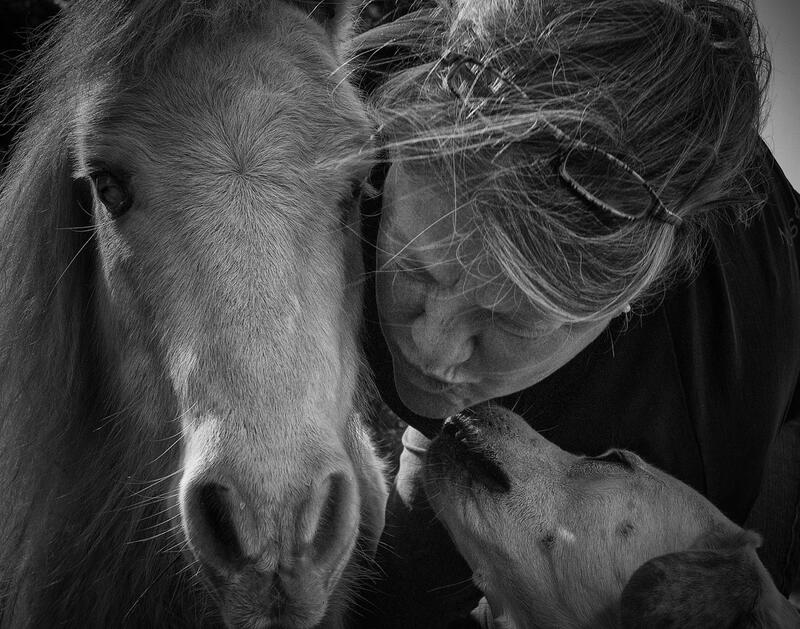 "Hugs All Around" - All the animals on the farm experience a spiritual connection with their caregiver. 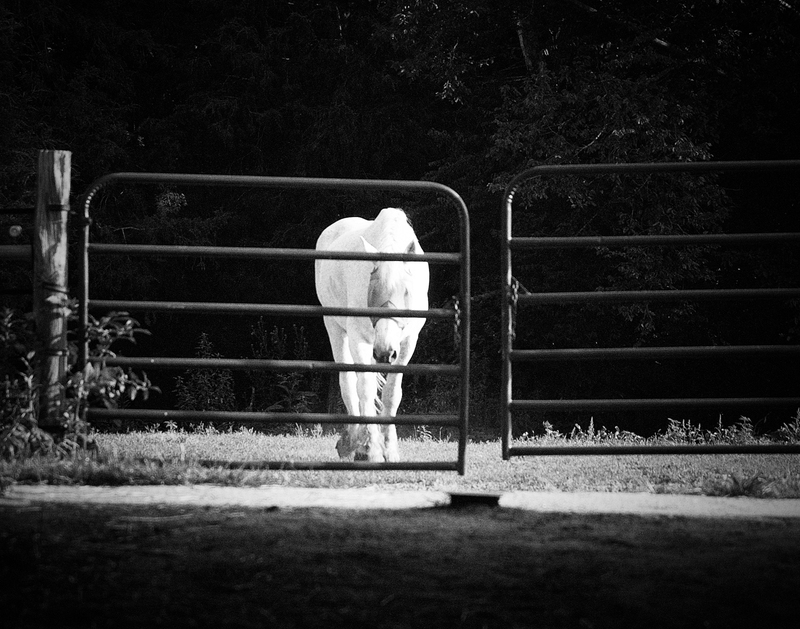 "Chow Time" - Some of the horses would be feed in the barn stalls, Pat could open the gate and each horse would walk right to “their” stall for feeding. This malnourished horse is typical of many that Pat rehabilitated. She would look at a horse like this and shake her head in dismay, for a moment, and then set about rebuilding it's body and soul. "Waiting on a Treat" - When Pat would feed each morning and evening, some horse would often que up early, or hang back after the feeding, to see if any treats might be available. "One Last Hug" - Life ends for us all, and the pain of loss is numbing. 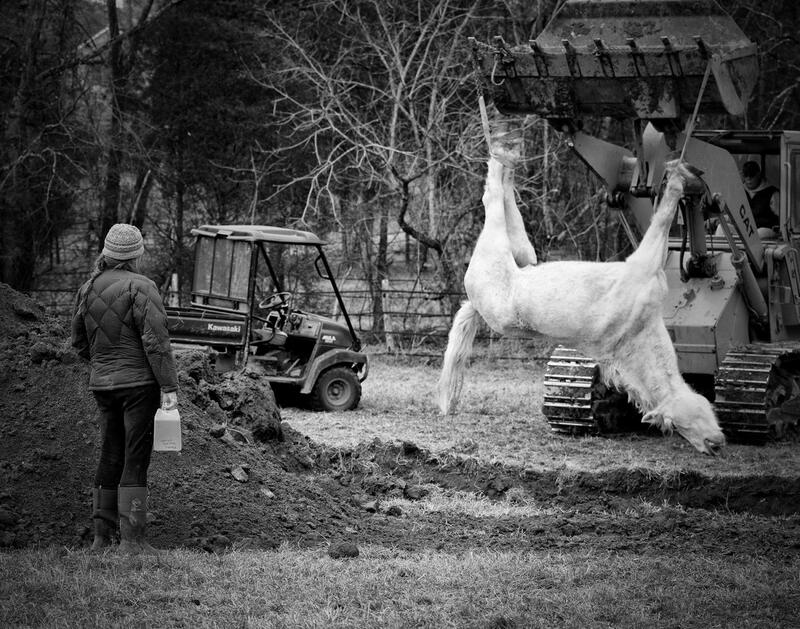 Part of caring for older, often sick horses, was the eventuality of their death. 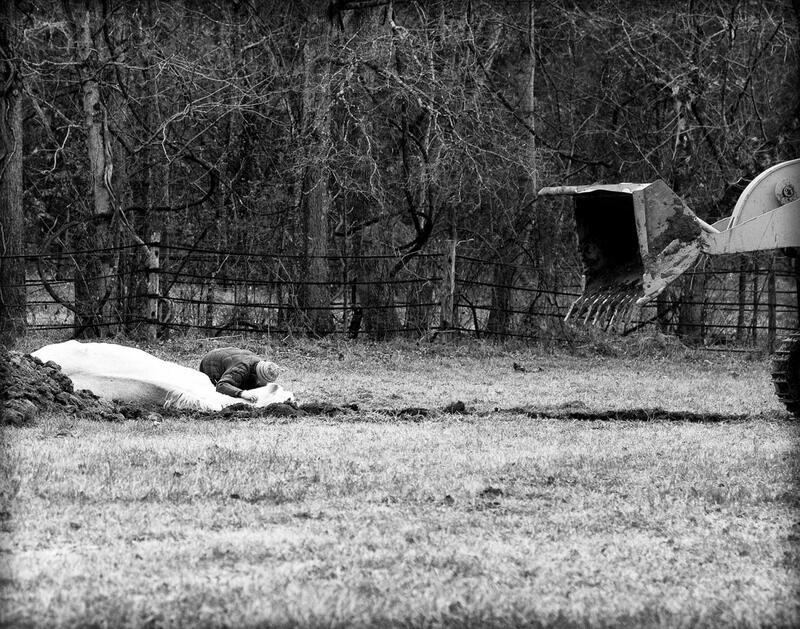 Pat always buried horses with hay, carrots and a favorite halter to take them on their next journey. "Good Bye" - Immortality for animals and men succeeds alike. Pat Land died unexpectedly 6 mos after this burial event.